One of our chief goals in our new location is to build unity among the members of the church planting team. We had heard of a few disagreements between co-workers, but knew that the Lord could heal the resulting hurts. It’s easier to tell people to “fix” things, however, than it is to convince them to actually do it. Many were praying, trusting God to bring about reconciliation in His way and in His timing. Two weekends ago our Valparaiso FMC held a youth meeting with a guest speaker from another denomination. He spoke on many subjects, but his main emphasis was on the sin of bearing grudges. 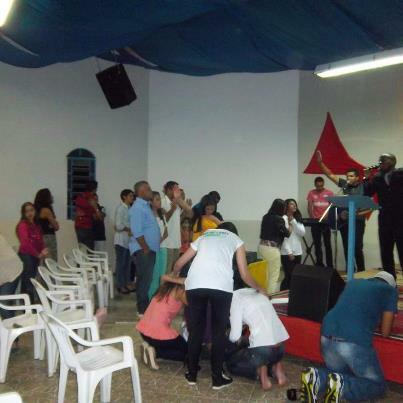 Four young women fell on their knees and began to plead for forgiveness. We discovered later that they had barely spoken to each other in five years. Their broken relationship had not even been on our radar, but God knew exactly where He wanted to begin his healing, reconciling work. We praise Him for His great mercy and power. What a tremendous blessing! And answer to prayer. Jesus Himself even prayed for this in John 17, for our unity. May this just be the beginning of God’s power greatly at work there. Praise the Lord! I wish we could get the address of that young preacher! Ha! I love it when God works and we’re not aware until after the fact! Thanks for sharing this experience.